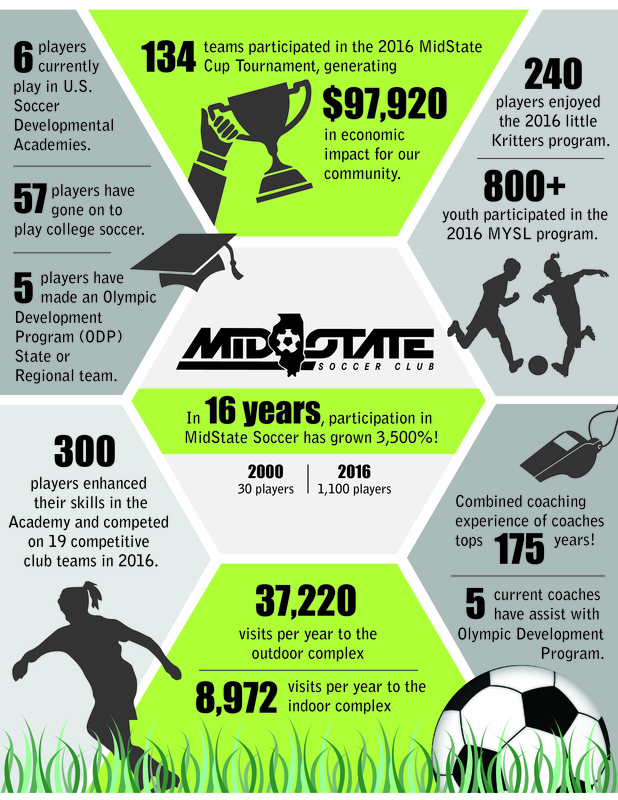 MidState Soccer Club is making important efforts to expand and enhance programming and amenities! 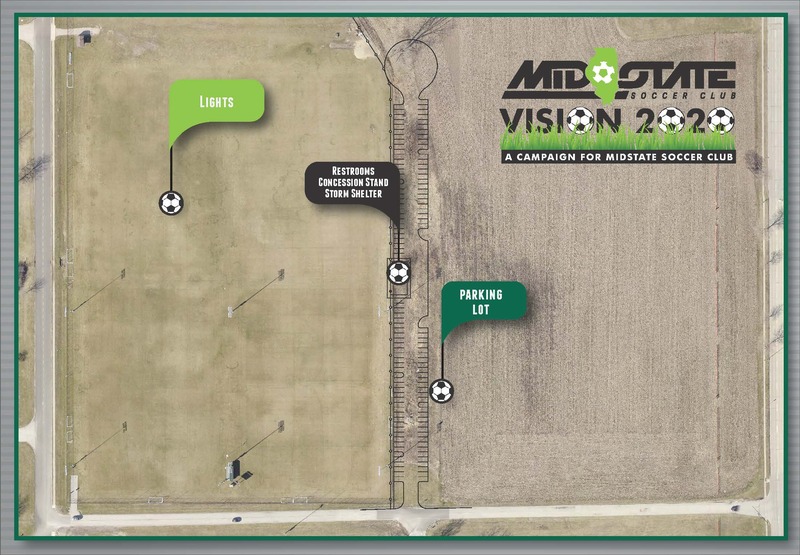 The goal of the new Vision 2020 campaign is to provide the best possible facilities and fields, improve the experience of existing players and families, and contribute to the exponential growth of youth soccer in our community. 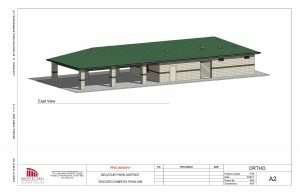 Many of you have shared your interest in a permanent restroom/concession facility, more parking, and additional lighting. The capital projects below will continue over several years…but our goal is to have many in place by 2020! Payment options will be available for all donations. Please make contributions to the Decatur Parks Foundation, attention Jill Applebee, and mail to 620 E. Riverside Ave., Decatur 62521. Prefer to donate online? DONATE HERE Thank you! Want to see your name or the name of a loved one listed in perpetuity at the Decatur Soccer Complex? 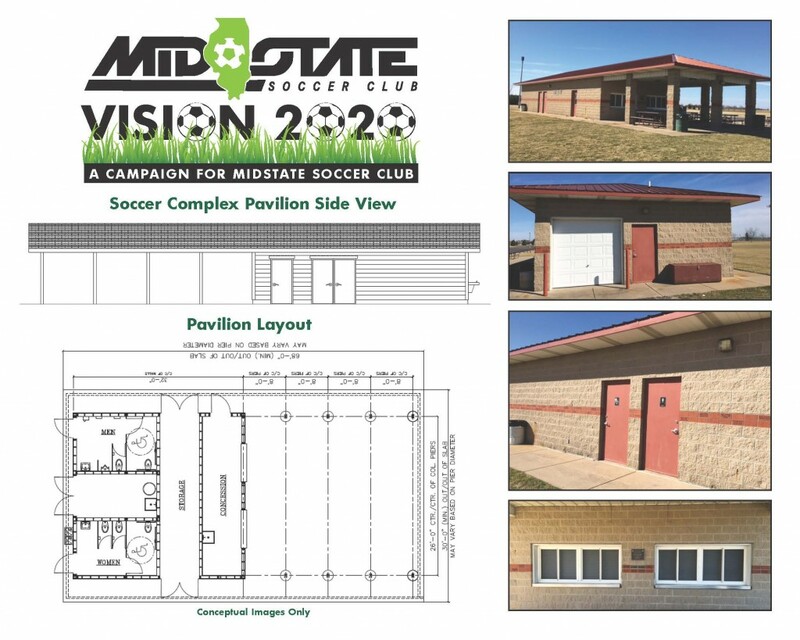 Please contact Colin (429-3472) or Jill (422-5911) to inquire about pricing for these great options! 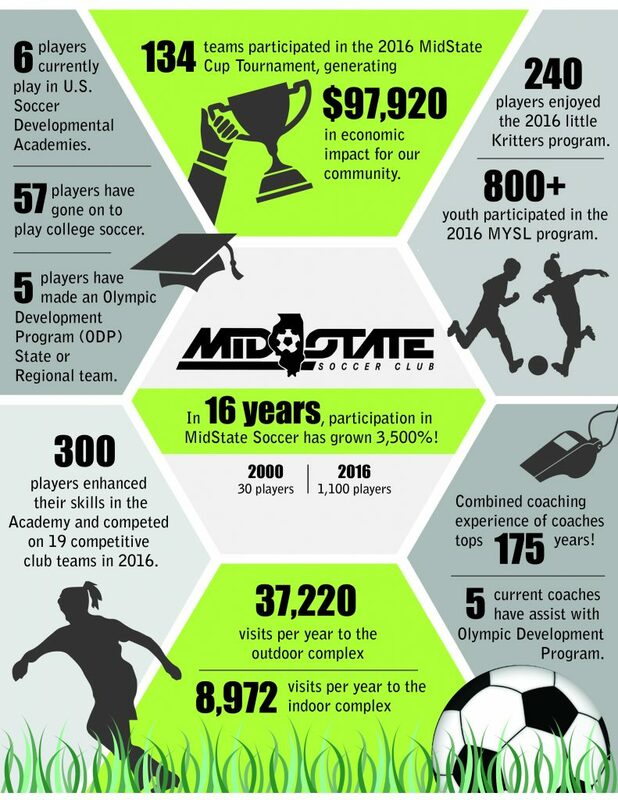 Check out this infographic to see some amazing statistics about your club!